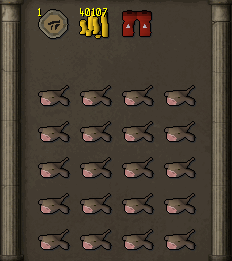 Have you ever wanted to buy items fast, with minimal effort? 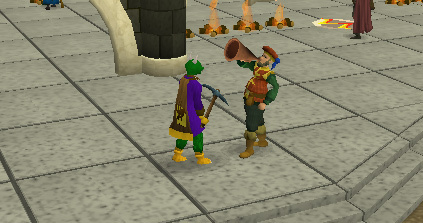 Have you previously been tired of standing in the masses of Varrock marketplace trying to get your voice heard? 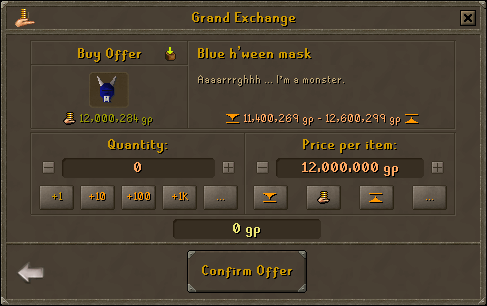 Well, The Grand Exchange is for you. 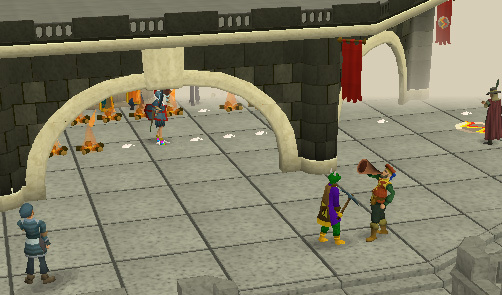 This unique area located in the north-west of Varrock city is the place to be if you simply want to put a few items up for sale or place a bid on an item, whilst being able to train skills or play Activities. 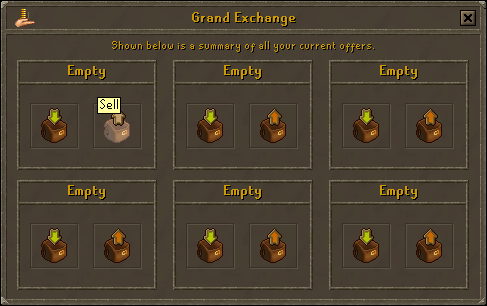 The Grand Exchange is located in the north-west of Varrock. 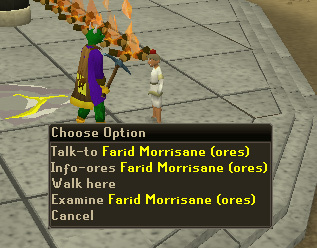 It is north of Varrock west bank and east of Edgeville. 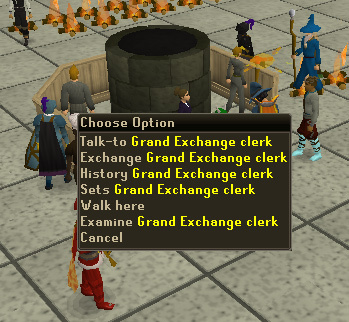 For a map showing the location of The Grand Exchange, see below. Teleport using a Spirit Tree to come out inside The Grand Exchange's walls in the northeast corner. 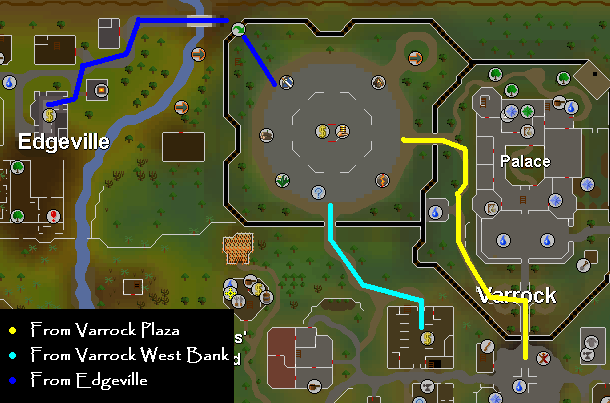 Once you have chosen your desired route, it's time to learn how to use The Grand Exchange! Once you have arrived, talk to Brugsen Bursen. He can be found shouting through a megaphone. Talk to him, and choose the option to learn about the exchange. He will tell you all about how to place an offer and how to collect your winnings. Once you have listened to him, you are free to use the exchange. 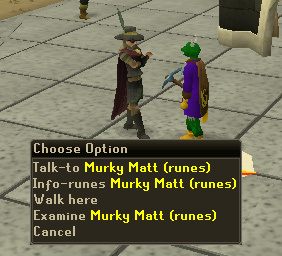 Walk into the center, and you will find a desk which contains Grand Exchange clerks and Bankers. 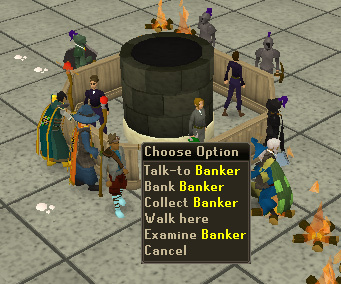 From the Banker you can access your bank or collect your items/money or make a Bank PIN. From the clerks you can exchange, check your exchange history and view the item sets. Around the edge of the exchange building are some NPC price guides for the following: logs, runes, armour sets or individual items, herbs, and ores. By talking with the NPC, you can view the current prices of those items. 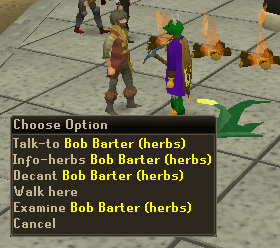 In addition to getting the latest herb prices, Bob Barter can also decant your potions. This simply combines two potions of the same type into a single potion. For example, if you have two Attack Potions (2 doses each), you will have a single 4-dose Attack Potion and an empty Vial. Note: Members can make 6 offers at a time, while FreePlayers can only make 2 offers at a time. 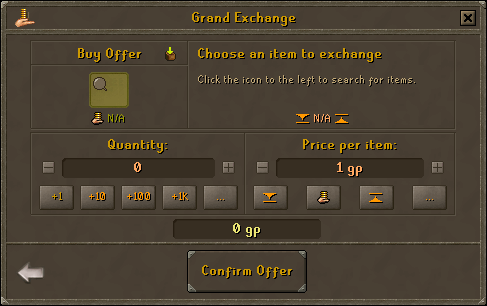 In order to exchange items, right-click a clerk and select the "exchange" option. The below screen will pop up. Choose the icon that shows an arrow coming into your backpack, and when hovered over with the mouse pointer, will show "buy". After you have clicked that, a new window will show, looking like the one below. The first thing you want to do is search for an item. 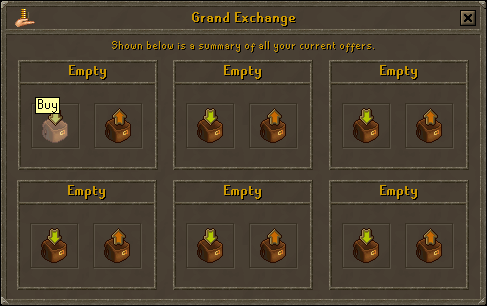 If you haven't immediately noticed, the chat box has been replaced with The Grand Exchange item search box. To search for an item, type in the name of the item and your results will be displayed! Click on the item's name and the information of that item will be brought up. To set the price of the item you want to buy, the four icons beneath the "price per item" title will be of interest to you. The arrow pointing down will drop the price to the lowest market value, and the arrow pointing up will raise the price to the highest market price. You cannot exceed these price boundaries. Clicking on the "..." will allow you to customize your price. After the window showing the item and price comes up, set the quantity by clicking on the "...". To confirm your offer, click on "confirm offer". If your offer falls out of range, a sleeping hourglass will appear next to the amount you entered. You needn't buy all your items at once, you can buy them in small amounts. 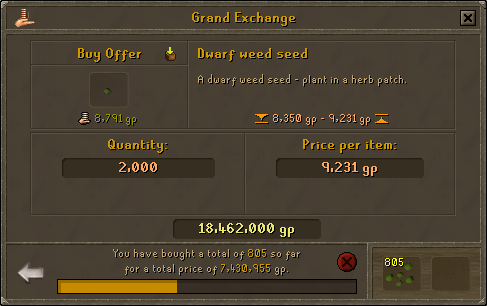 For example, you are buying 2000 dwarf weed seeds. 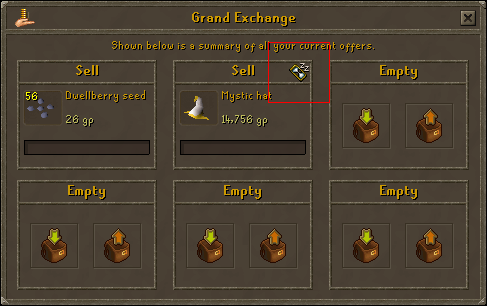 It is likely that no one person is selling all those seeds at once, so they will be sold to you in amounts. If that is the case, a window similar to below is displayed. Also note that the bar's color will show yellow if the item has been partially sold or bought. It will show green in everything has been sold or bought, and will be empty if nothing has been sold or bought. Selling is extremely similar to buying, except you need to do a few little things differently. Choose the arrow that it coming out of the backpack, which when hovered over with a mouse says "sell". 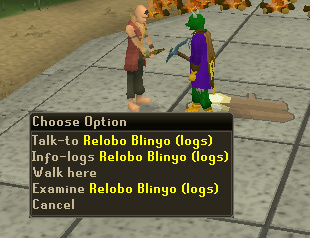 Once you have selected the option, you will need to click an item from your flashing inventory to sell. Once you have clicked your item, it will appear with the information concerning that item. To set the price of the item you want to sell, the four icons beneath the "price per item" title will be of interest to you. The arrow pointing down will drop the price to the lowest market value, and the arrow pointing up will raise the price to the highest market price. You cannot exceed these price boundaries. Clicking on the "..." will allow you to customize your price. If you wish to sell more than one of that particular item, the "quantity" will be of interest to you. You can set the quantity by clicking on the "...". To confirm your offer, click on "confirm offer". To check your offers, right-click a clerk and select the "exchange" option. Your current offers will be displayed. To abort an offer at any time, right-click your offer an select "abort offer". You can collect your item back by viewing the offer and clicking on the item icon. 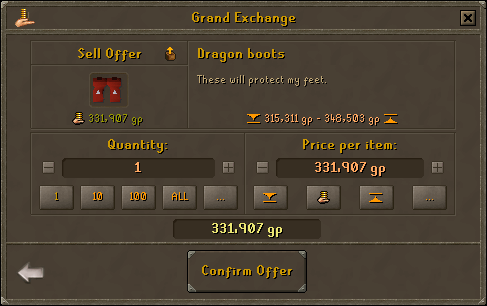 If you are looking to buy or sell armour sets, right-click a clerk behind the desk of the exchange and select "sets". The below window will pop up. If you wish to buy a set, click on the item in that window. If you wish to sell a set, click on the set in your inventory. To convert armour into a Set, right-click a clerk and select the 'Sets' option. 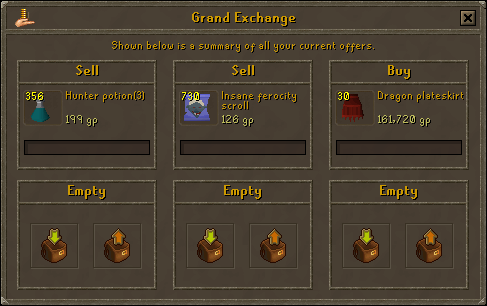 Right-click the desired set (make sure you have all required pieces) and select the 'Exchange' option. To remove armor out of its set and into individual pieces, simply repeat the process with a set in your inventory. 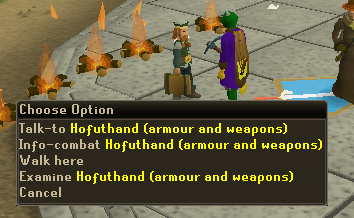 You can then collect your items from either the Grand Exchange, or a Bank Teller. You can't collect from bank chests or carriers, with exception to Arnold Lydspor in the Piscatoris Fishing Colony. Select your money/items to receive your winnings, and they will appear in your inventory. They are now yours! 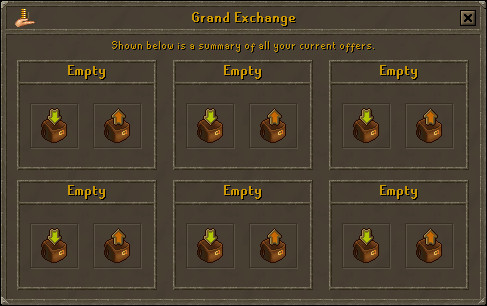 Congratulations, you can now successfully use the Grand Exchange!